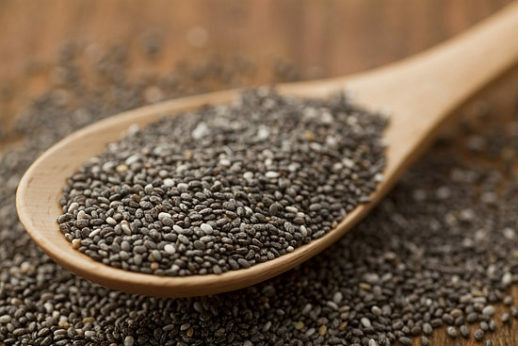 Chia seeds contain a rich concentration of vitamins, minerals and antioxidants. 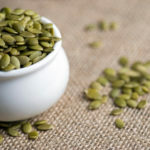 Eaten raw, they are loaded with essential fatty acids, with 30% of their fat coming from Omega-3 and 10% coming from Omega-6 – considered the perfect balance for healthy human tissue. Their soluble fibre forms a gel-like substance in the stomach when eaten, so chia seeds help slow the conversion of carbohydrates to sugars and prevent the absorption of some of the food consumed – promoting a sense of fullness, while helping control diabetes and weight. Chia seeds can be eaten raw or you might like to sprinkle on your salad, add to baked goods, porridge, pancakes and granola. Chia seeds go undetected in a smoothie so a great way to boost omega’s for kids without them knowing! Chia seeds date back to pre Colombian times with origins in Mexico and Guatemala; wild chia seeds have long been used as a staple food in Native American and Mexican cultures. Along with water, they were the main food that fueled the Aztec warriors in their conquests. 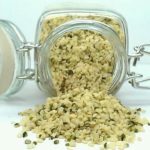 Our organic chia seeds can be added to puddings, smoothies or even just water or juice!